LAGOS – MODERSNISING regulation and policy reform will boost Nigeria’s digital economy and accelerate internet access for millions through increased mobile broadband penetration. 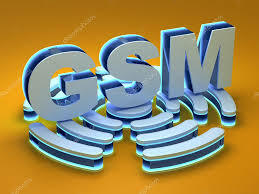 This is according to the Global System for Mobile Communications, commonly referred to as GSMA. Its report, “Spotlight on Nigeria: Delivering a Digital Future”, was launched at a GSMA industry event on Thursday, held in conjunction with the Nigerian Communications Commission (NCC). The event brought together leaders from across the mobile industry with policymakers to discuss future regulation and how to enable the next-generation of 5G connectivity. “In the world we live in today, mobile communication is a cardinal tool of economic development, growth and integration, and the mobile industry is a key enabler of productivity across economies and societies,” said Prof. Umar Garba Danbatta, Executive Vice Chairman and Chief Executive Officer of NCC. Akinwale Goodluck, Head of Sub-Saharan Africa, GSMA, said mobile connectivity has had improved the welfare of millions of Nigerians, opening the door to new digital possibilities and powering the country’s economic development. Goodluck said for Nigeria to take full advantage of the next phase of its digital transformation, it was vital that collaboration between industry and government enabled the right policy environment for millions more to benefit from ultra-fast mobile broadband. “If policies don’t keep pace with the needs of society and technological innovation, there is a risk that citizens will be left behind and productivity and competitiveness will suffer,” Goodluck said. GSMA research shows the mobile industry contributed $21 billion to Nigeria’s gross domestic product (GDP) in 2017, representing 5,5 percent of Nigeria’s total GDP. In addition, the growth of Nigeria’s digital economy resulted in the creation of nearly 500 000 direct and indirect jobs.